‘Normal’ is out and ‘quirky’ is in for businesses discovering the hidden money in niche outputs. 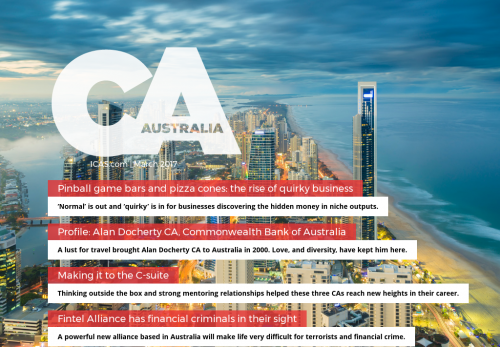 A lust for travel brought Alan Docherty CA to Australia in 2000. Love, and diversity, have kept him here. Thinking outside the box and strong mentoring relationships helped these three CAs reach new heights in their career. A powerful new alliance based in Australia will make life very difficult for terrorists and financial crime.